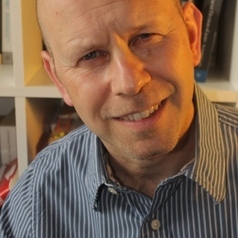 Dr Mark Bennister is a Reader in Politics at Canterbury Christ Church University. He specialises in comparative politics, political leadership, British and Australasian politics. Mark is a visiting lecturer in British politics on the Tufts in London program at University College London and is an academic fellow at the Houses of Parliament. Mark is an expert in comparative prime ministerial leadership. He published 'Prime Ministers in Power: A Comparative Study of Political Leadership in Britain and Australia' in March 2012. Mark gained his doctorate from the University of Sussex (2004-2008), where he was awarded a 1+3 ESRC studentship. Mark has an MSc in Social Research (Sussex 2005), MA in Contemporary European Studies (Loughborough 1993), and BA Hons in Social Sciences (Nottingham Trent University 1990). Mark worked as an Executive Officer at the Australian High Commission in London from 1998 until 2004. He also worked as a parliamentary researcher at the House of Commons and European Parliament from 1993 until 1997.